Checkout this colorful flocked deer family painted in brilliant coloration and spritzed with glitter and snowflakes. 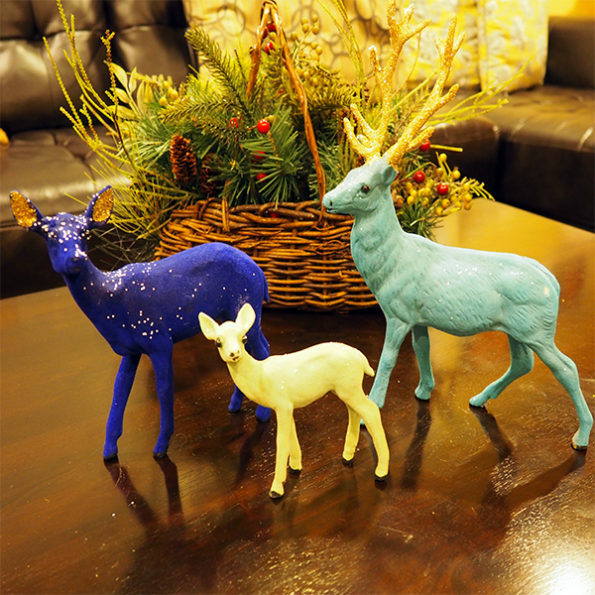 It looks so adorable, this colorful flocked deer family invites a vibrant glow in your mantle and tabletop displays. Buy for this Christmas and make your decorations more vibrant. Buy this deer family of mom, dad and baby flocked deer family for your Holiday decor, available in pink, purple, yellow or blue with glitter and snowflake accents.